JRJ is an iconic figure from my childhood. I grew up watching the Doctor films, Father Came Too and all those other wonderful British movies of the '50s through '70s. They may not have been art but, by good they were enjoyable. Sir Lancelot Spratt and James Robertson-Justice are inextricably linked and one is the other. Which way round; you'll have to read the book to find out. What most people don't realise is the extraordinary life that he really had had. Driving Blower Bentleys at Brooklands, Journalist, Spy, Ice Hockey player, to name a few. Acting was something he fell into by accident and he didn't so much act, he just was. 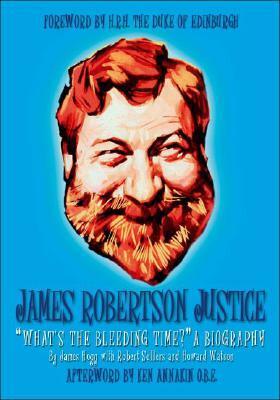 Sign into Goodreads to see if any of your friends have read James Robertson Justice.